Bradley J. Bartolomeo is a partner in the New York and Newark offices of Lewis Brisbois and is a member of the Labor & Employment, Professional Liability, Complex Business & Commercial Litigation, and Entertainment, Media and Sports Practices. Mr. Bartolomeo has represented companies, their management and individuals in federal, state, and administrative courts, as well as in mediations and arbitrations, on a national basis. His practice includes counseling and representing clients in connection with issues pertaining to the Fair Labor Standards Act and wage and hour compliance, internal and external confidential investigations and audits, and the numerous labor and employment, human resources, and employee management issues that face companies large and small on a day-to-day basis. 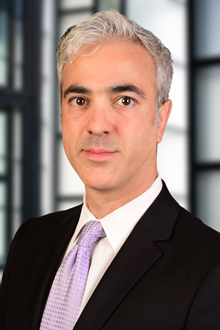 Mr. Bartolomeo has helped guide clients through all stages of litigation and alternative dispute resolution in connection with Title VII and state law-based discrimination, harassment, whistleblower and retaliation claims. Through his counseling and engagement efforts, Mr. Bartolomeo is dedicated to partnering with clients to reduce litigation expenses, proactively prevent employment claims and enhance employee performance. He has successfully mediated a myriad of employment and other disputes and remains devoted to achieving creative and cost-effective solutions in appropriate cases and aggressively litigating defensible cases. Mr. Bartolomeo is the former Secretary of the New York City Bar Association’s Committee on Arbitration and currently sits as a Member of the Sports Law Committee. Mr. Bartolomeo is a published author, having written numerous articles on employment and labor topics. He is also a frequent lecturer at Continuing Legal Education and Human Resources Recertification (PHR, SPHR, and GPHR) classes on employment trends and best practices. Mr. Bartolomeo has been recognized since 2015 in New York and New Jersey's “Super Lawyers®” as a “Rising Star”, a Thomson Reuters business, in the areas Employment & Labor, Entertainment & Sports and Business Litigation. The selection of Rising Stars® is made by an attorney-led research team that independently reviews the credentials of potential candidates and assigns points based on a set of evaluation criteria. Practicing lawyers are asked to nominate “attorneys who are 40 or under, or who have been practicing for 10 years or less.” No more than 2.5 percent of the lawyers in a geographical region are named to the Rising Stars® list. Mr. Bartolomeo is a graduate of the Benjamin N. Cardozo School of Law, where he received his Juris Doctorate, and Union College, where he received a Bachelor of Science, and graduated with honors in Psychology, with an additional Major in Anthropology.